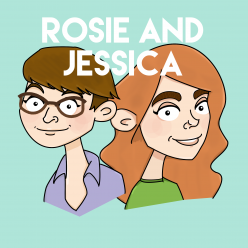 In episode 119, Rosie and Jessica celebrate their (belated) seventh podcast birthday! Luckily they do not become stuck in a time loop as they discuss Netflix’s new show, Russian Doll and get caught up on various parties, plays and potential trips to IKEA. Jessica picked I Specialise by Clive Gregson and Christine Collister, while Rosie went for For What It’s Worth by Buffalo Springfield. There’s more allotment love on YouTube with The Homegrown Gardener. Rosie and Jessica badges are now available in our shop!